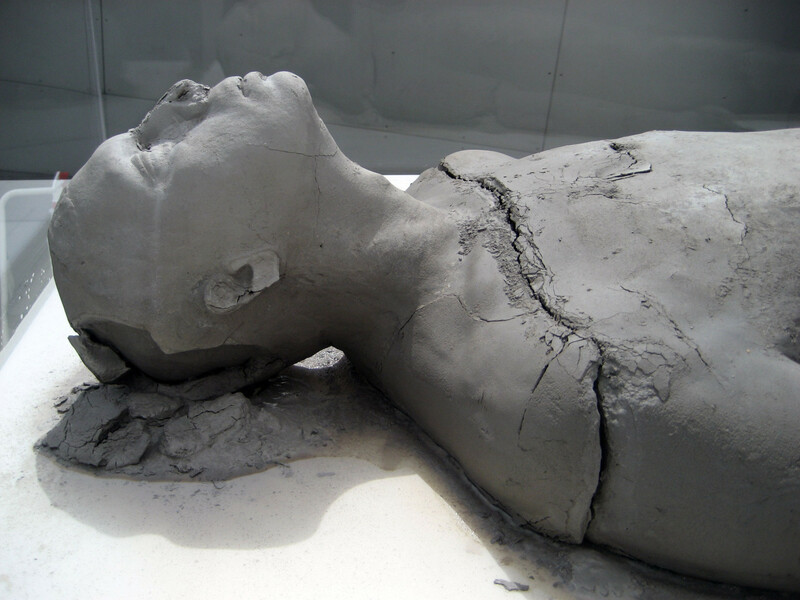 The (de)composition series, which this piece is a part of, expresses my desire to reflect on and find beauty in the return of the physical human body to the earth upon death. 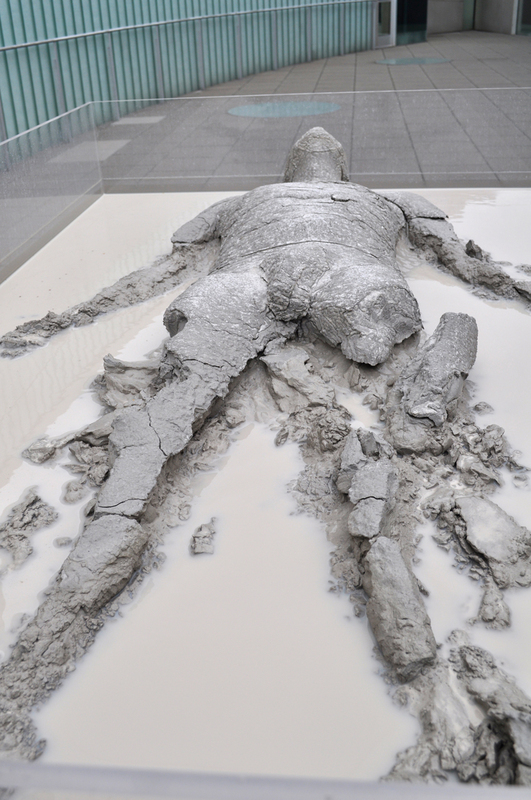 Using an unfired life-size ceramic cast of the human body, (de)composition: man is a visual representation of the gradual breakdown of the human form. 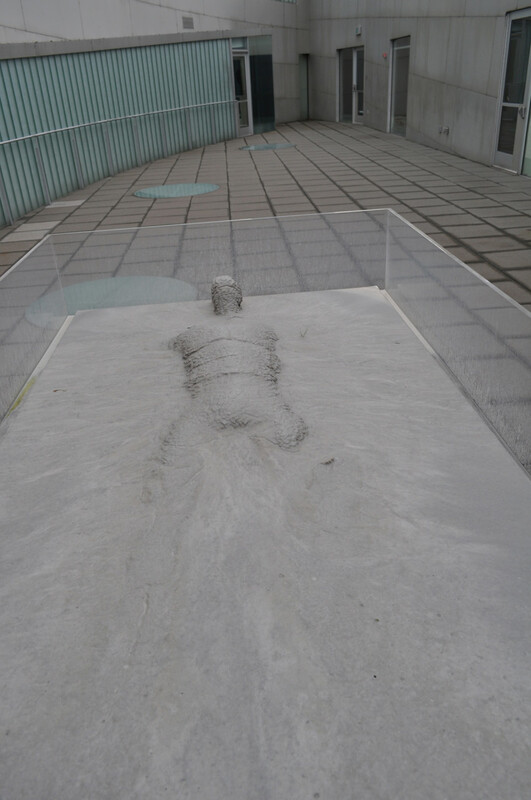 This time-based kinetic sculpture creates an opportunity where one can come back at different stages of the exhibition to see the transformation of the piece. 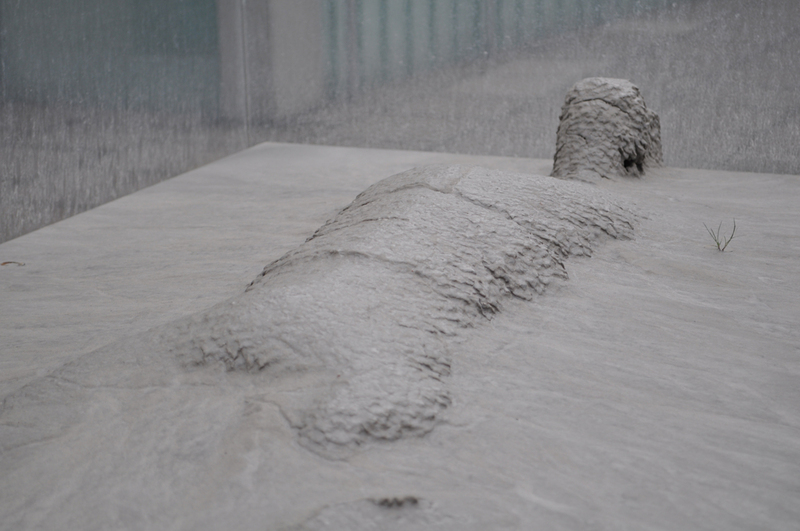 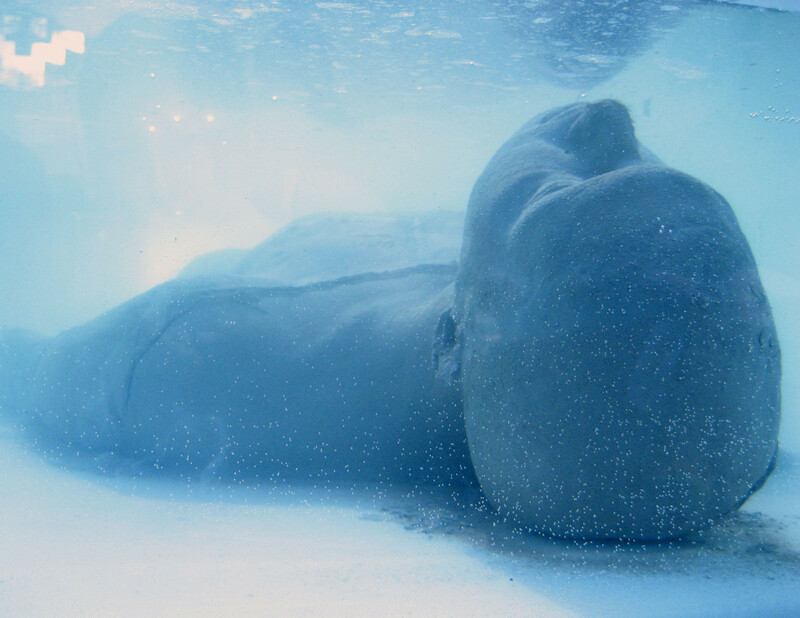 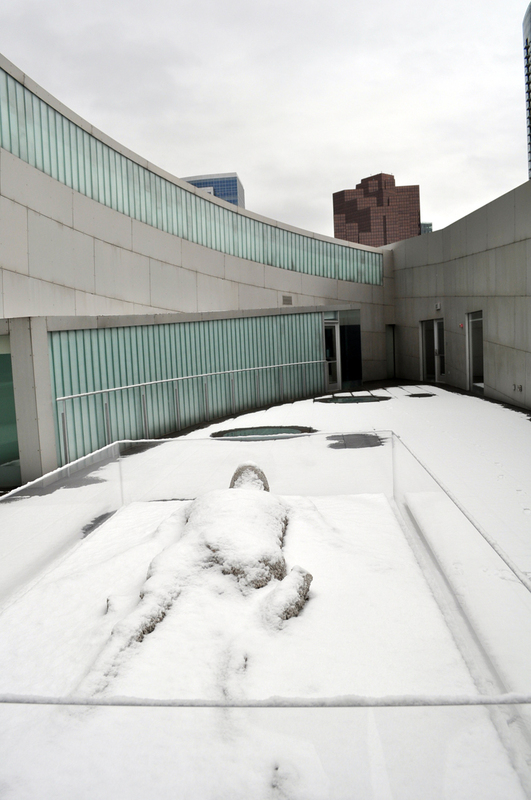 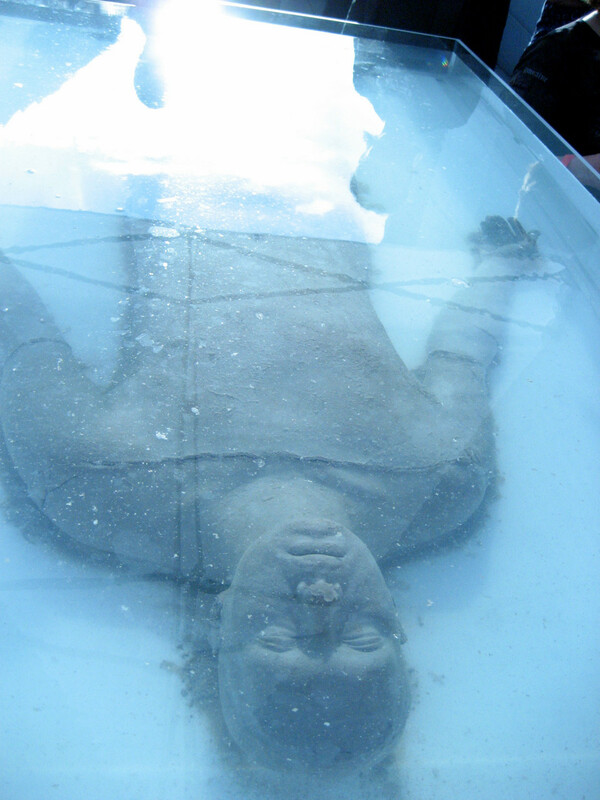 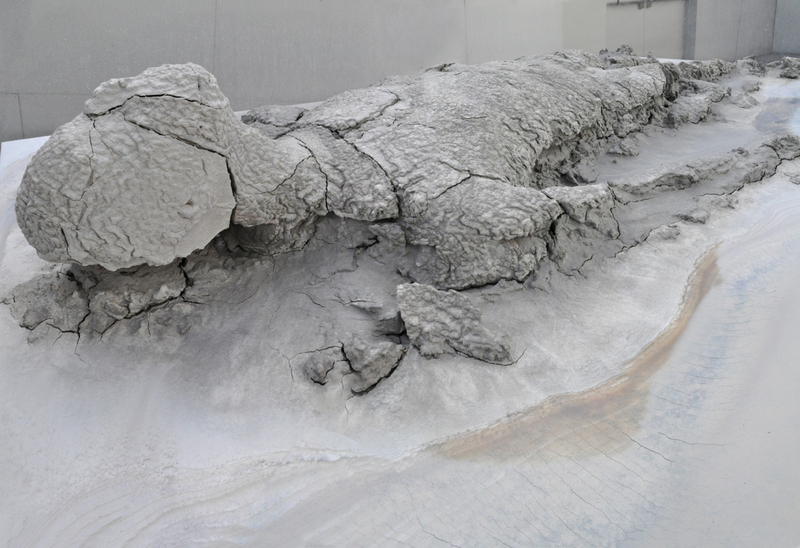 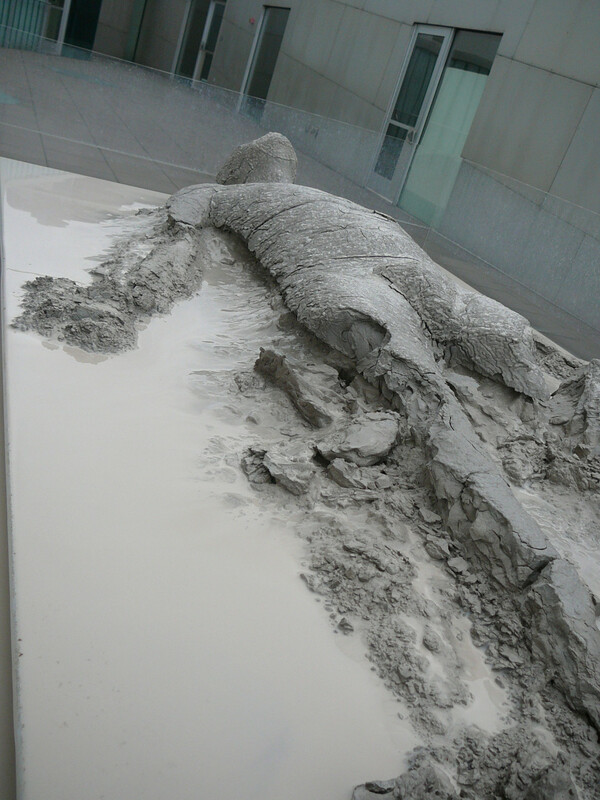 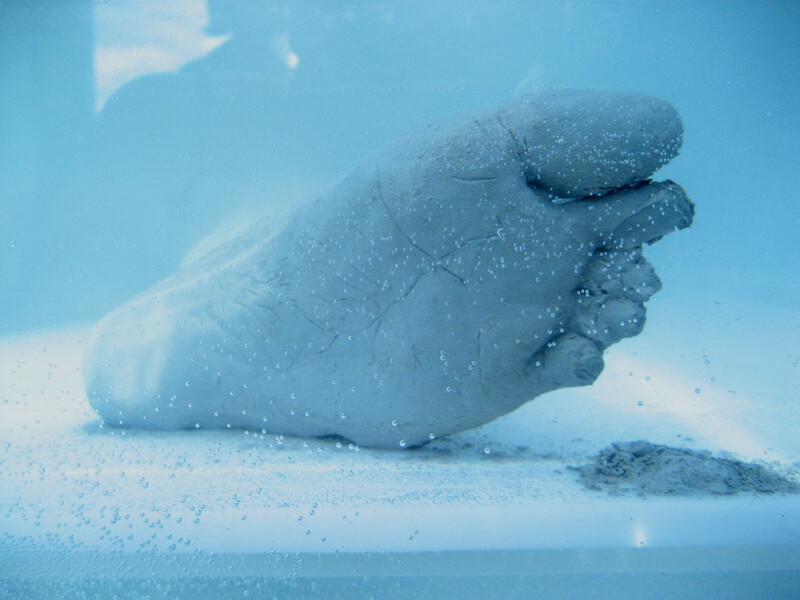 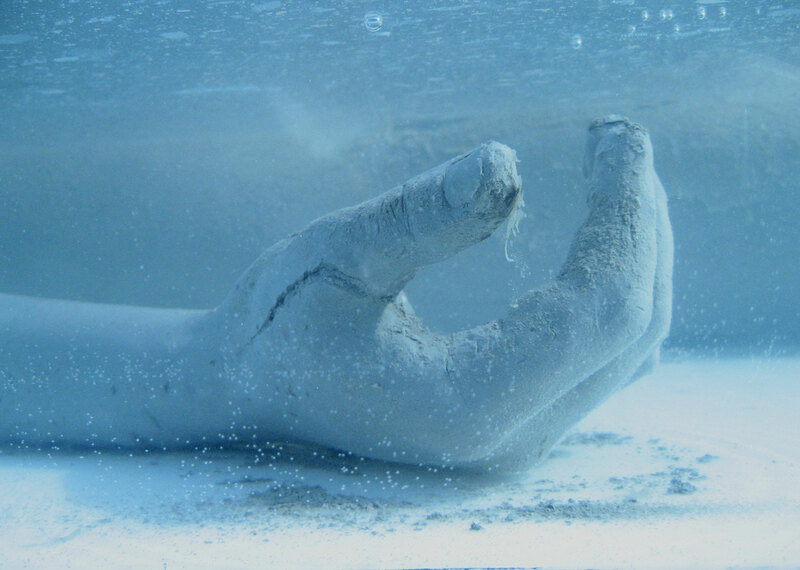 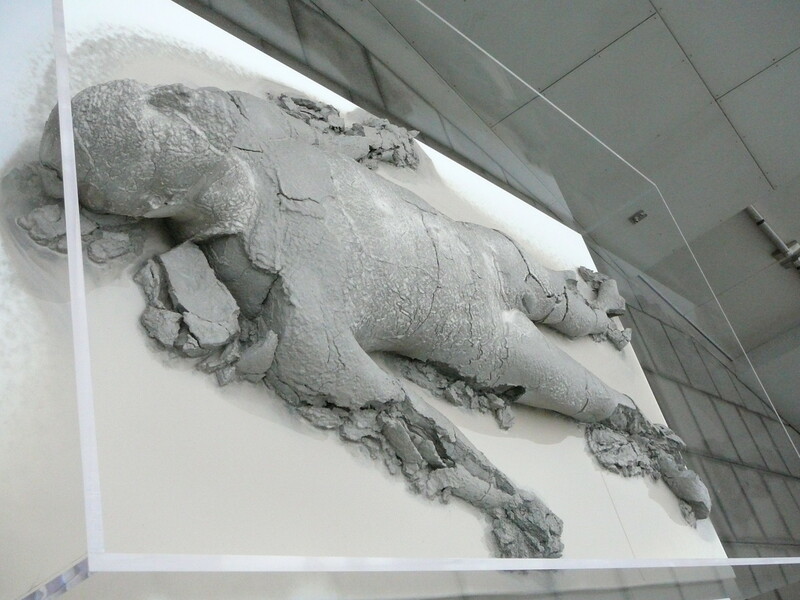 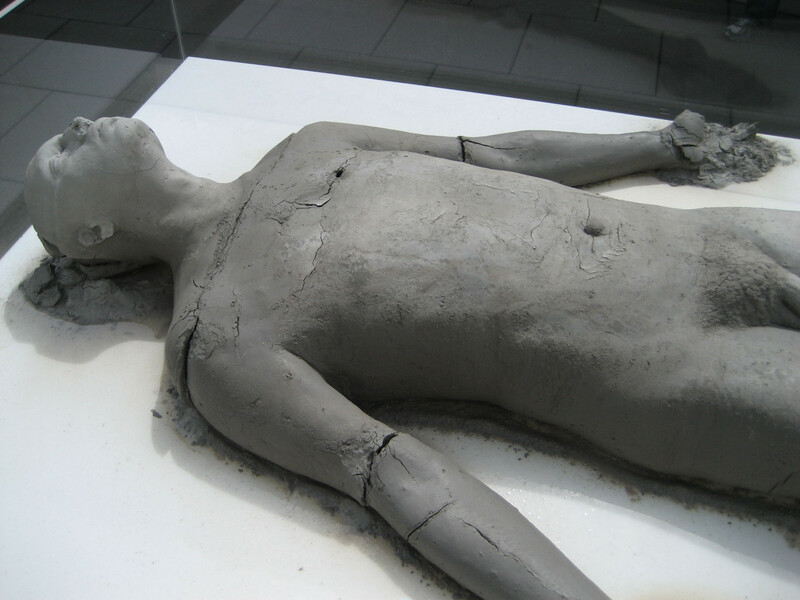 During the opening of the exhibition, the realistic life size clay figure is laid down horizontally, and then is completely immersed in a pool of water, allowing it to slowly deteriorate. 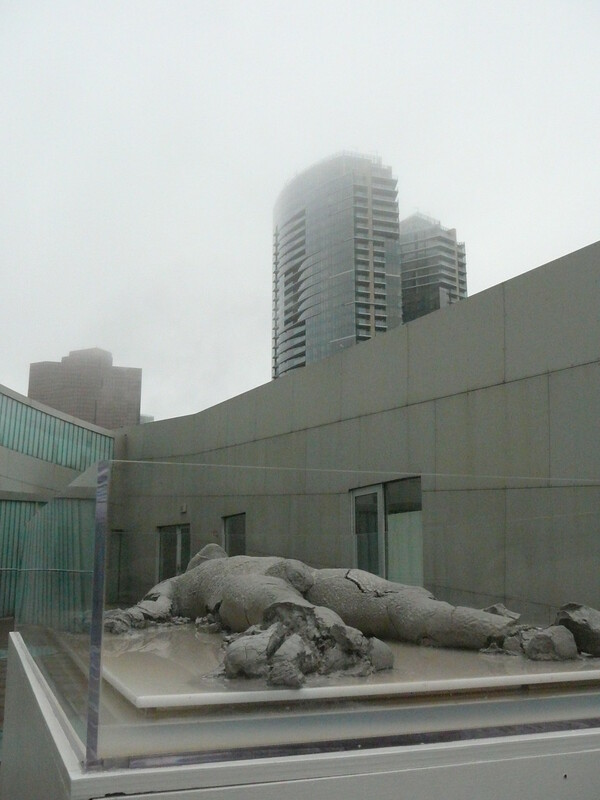 Once the fog completely envelops the figure, the water is drained to reveal the partially deteriorated clay figure. 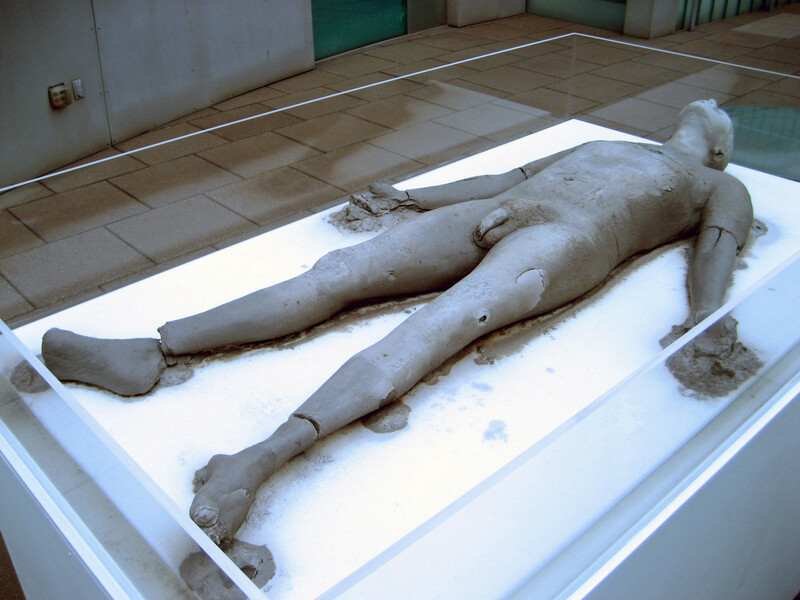 As the (four month) exhibition continues, the clay figure will be exposed to the elements so water will continually be introduced (through rain) which will then dry out. 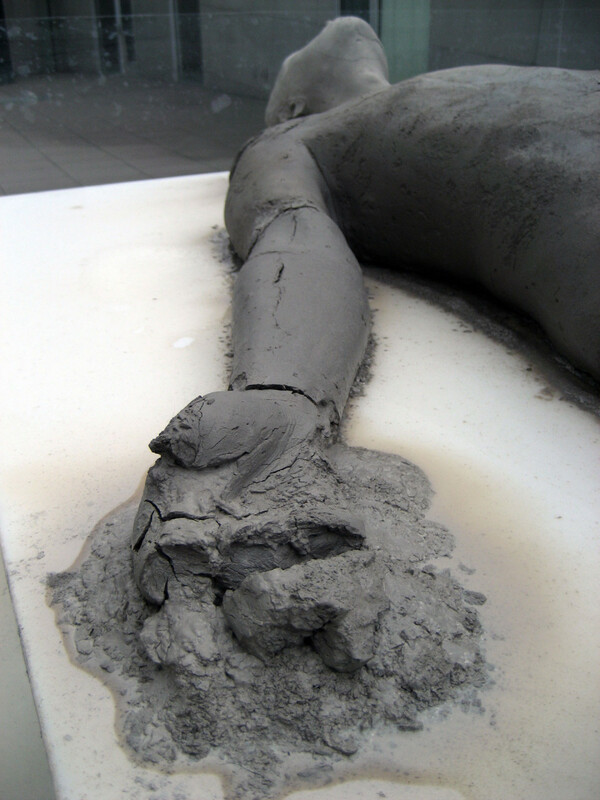 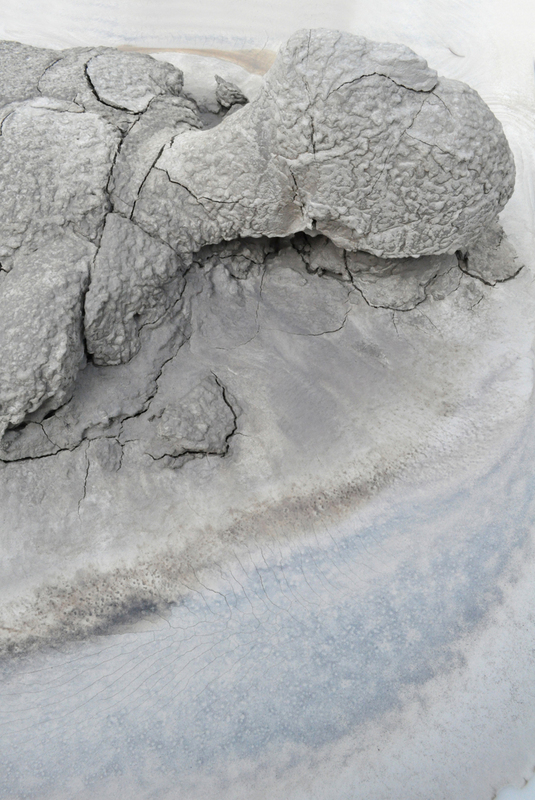 As the figure breaks down more and more the clay will crack the way dry earth does, leaving some traces, or suggestions of the human form it used to have.